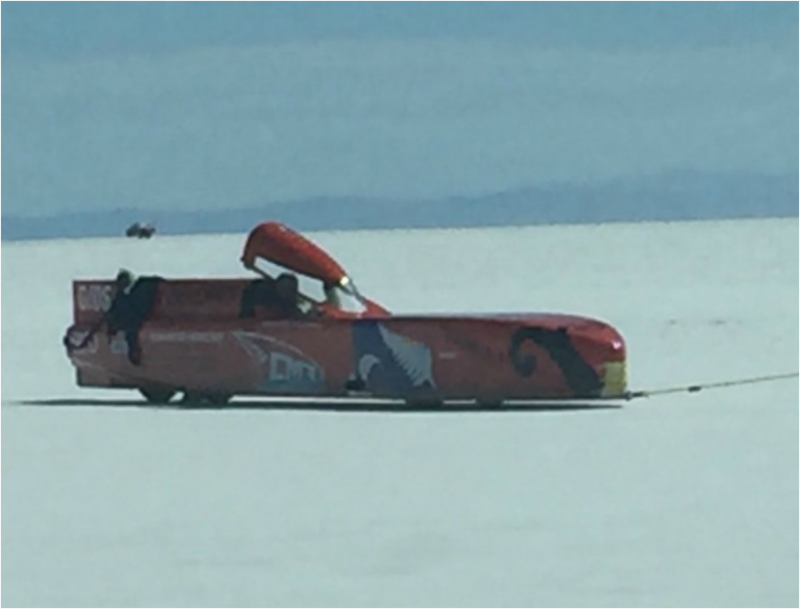 Reg Cook's Team and Weismann set World Record at 210.82 mph! 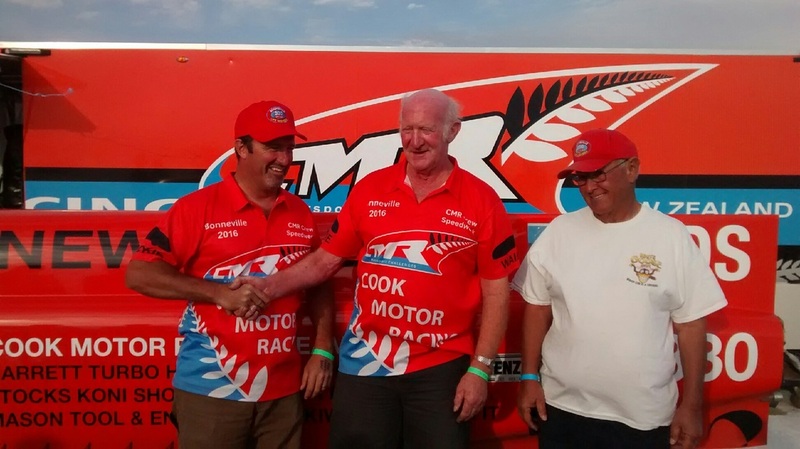 New Zealander Reg Cook's mission was to come to Bonneville and set a speed record - and hopefully get into the 200 mph club. 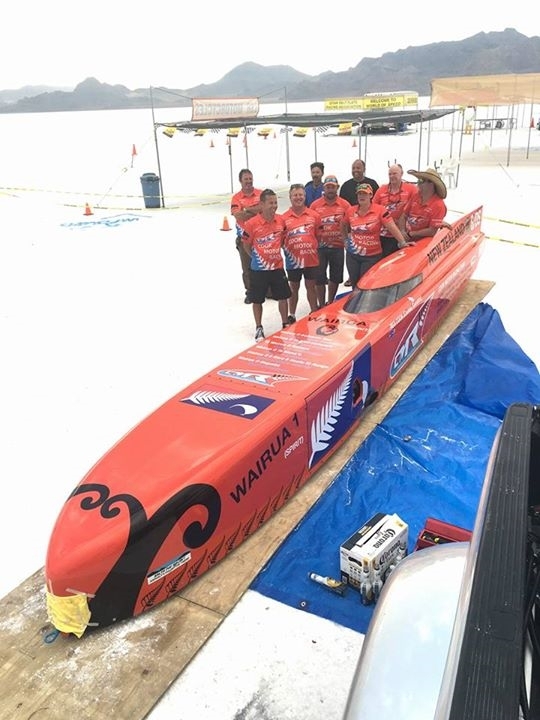 Reg's team had successfully shaken down the new Streamliner 3 times the day before. The first pass ever for the new Streamliner was at 141 mph, just 6 mph off the record. Then on the second pass they ripped a 185 mph pass. Followed up with a 190 mph pass and the car was qualifying and impounded to prevent further modifications to the car... like putting in a bigger engine overnight. 8 Speed Quickshift, stuffed in a early 1980's 5 Speed "Indy Tunnel Box". This transaxle design of our Dad won Indy in 1982 with Gordon Johncock - our 4th Indy win. We had 3 raw castings in the shop, and when we got the idea to do this transaxle, we decided to use this existing transaxle as a base. One of the unique features is the high locations of the axles. Rather than make a whole new case, we utilized an existing housing we had been storing in the rafters for a few decades. The idea proved to be rather difficult due to the shape of the bottom side of the case which was designed to be a part of the aerodynamics of the vehicle. With a fat 1st and 2nd gear on the outside of the case on the left side (right side in this image), we had to make a double cover to house them. The other 6 gears are also extra wide for the big diesel engine that's in the works for next year. The Traction Products Team was Pat Weismann and Chris Wakula, who supported Reg's CMR Team with track side support thru the week to ensure everything was right on our end. Reg Cook's "Cookie" Streamliner set a World Record for the 2 liter Diesel Class at 188.2 mph, a full 41 mph faster than the previous record. 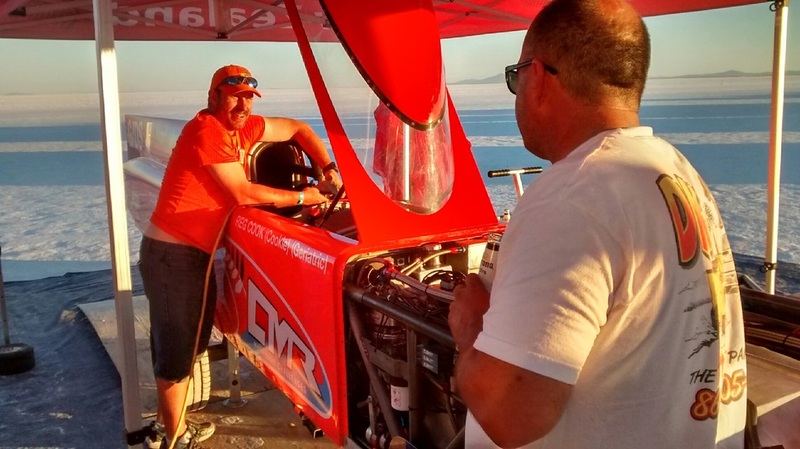 The team's test pilot Steve Davies got out and Reg Cook took his turn behind the wheel. His first pass was at 219 mph out the back! An hour later he backed it up with another pass out the back at 219 mph. The average speed over the times course was 210.82 mph! - almost 64 mph faster then the previous old record!